Last year I attended an amazing event where I got to learn more about fast and slow fashion, watch The True Cost Documentary, and learn how to support the Maquila Solidarity Network. The event I attended was held in Kelowna, British Columbia and was put on by Julianne McLaren. If you haven’t seen The True Cost documentary, and aren’t sure what the problems are with fast fashion, I highly suggest you watch the documentary here. What are the Main Problems with Fast Fashion? What is the Maquila Solidarity Network? One of the biggest problems is that fast fashion retailers exploit their manufacturers in developing countries. Workers (usually women and often children too) make clothes in often horrible conditions, for very little pay and many workers have died in factory collapses. One of the more well-known factory collapses was the Rana Plaza collapse of 2013 in Bangladesh. It killed 1,134 garment workers. Again, many facilities are simply not built well and threaten the lives of the people who make our clothes. The True Cost Documentary talks a lot about these and other issues and hardships facing fast fashion garment workers today. “The Maquila Solidarity Network (MSN) is a labour and women’s rights organization that supports the efforts of workers in global supply chains to win improved wages and working conditions and greater respect for their rights. MSN works with women’s and labour rights organizations, primarily in Central America and Mexico, on cases of worker rights violations and on joint projects and initiatives focused on systemic issues in the garment industry. For a full list of the types of work that MSN does, click here. There are two ways you can support the Maquila Solidarity Network. First of all, you can donate directly to the Maquila Solidarity Network by visiting this page of the MSN website. You can choose to make a one time donation or you can donate monthly. You can even donate in someone’s name as a gift. 1. 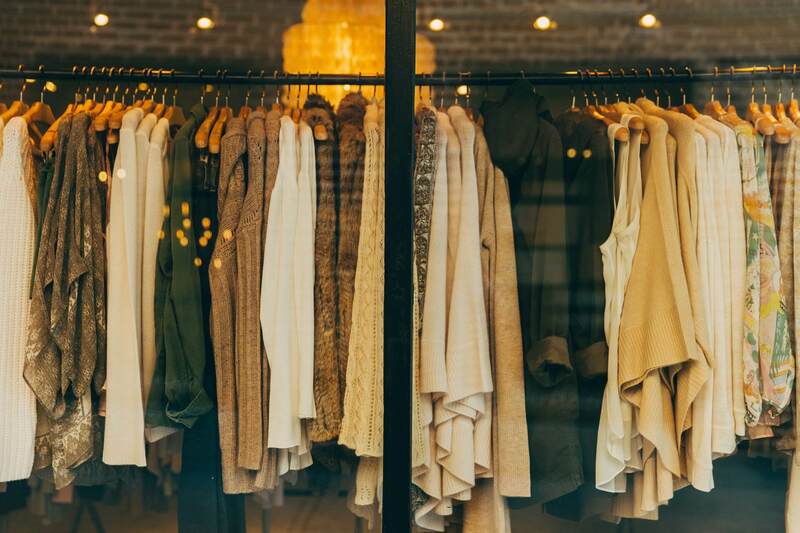 How did you first learn about the harmfulness of fast fashion? Was it from watching the True Cost or did you watch it to further inform yourself? 2. How long have you been buying only fair trade clothing? 3. What would you say to someone who thinks buying fair trade is just too expensive? 4. What made you want to hold a showing of The True Cost? 5. How did you find out about the Maquila Network and what made their organization stand out to you? 6. What suggestions do you have to other people wanting to hold True Cost screenings and similar fundraisers? Julianne: “Start talking about it as much as possible with other people. Community and connections are key to planning events. Often it is that “friend of a friend” who has the resources you need. Though I planned my event mostly on my own, if you know someone who would be excited about planning it with you, that would help take some of the pressure off. The hardest part, and most important, is finding a free or inexpensive venue. Churches can be great options; I recently found out that our local library hosts community events, so that could be a good option. Another suggestion is to make a long list of everything you need to do and everyone you plan on talking to, and then just work through it, one step at a time. It can seem overwhelming at first, especially if it is something you are doing in your free time on top of a full time job. What I did, is I committed to doing just one thing on my list, just once a week on my weekend. It made it manageable, and I wasn’t left scrambling at the last minute to plan everything at once. Julianne McLaren runs a Facebook group called, ‘Fair Trade Clothing: Hope for Garment Workers’ on Facebook. It has a focus on where to find Fair Trade Clothing in Kelowna, BC. Some brands you can buy fair trade clothing from online are also listed below.